…Eliza woke early the next day. Her curtains were flimsy and the sun was already bright enough to force her to shield her eyes as she jumped out of bed and went to gaze out of the window. She had the strange sensation that, despite all the intervening years, something of this oriental country still coursed through her blood and had remained deep inside her. Just the smell of its soil stirred distant memories, and she had woken many times during the night feeling as if something was calling her…. 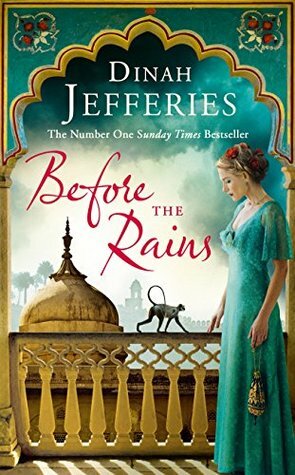 The romance of Rajputana comes alive in Dinah Jefferies latest novel, Before the Rains. For Eliza Fraser, a young widow, the photographic assignment in British India comes teeming with old memories, social prejudices, love and uncertainty. Eliza’s childhood in India had been marred by the tragic death of her father. Her years in England had also taken their toll on her. Her tryst with Jayant Singh Rathore, the maverick prince of Juraipore, takes her on an unfathomable journey. With The Separation and The Tea Planter’s Wife, Dinah Jefferies stole the hearts of millions. 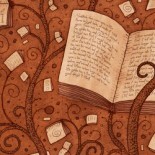 This best-selling author knows how to weave an enthralling tale. With Before the Rains, she transports the reader into pre-independence India, into a world bursting with regal charm, colour and mystique .Deftly, Dinah highlights some of the archaic beliefs prevalent at that time, like suttee/sati and cast distinctions, while highlighting the shift in ideology during the independence struggle. The research is impeccable as is the case with Dinah’s other books and descriptive writing is definitely her forte. However, for those who are well versed in the culture of the Rajputs, the casual tone used sometimes, especially when Jay speaks about his mother, may be a let down. That being said, this new novel is brimming with mystery, historical charm and soft romance. Read for that warm mushy feeling and don’t overanalyze! Thanks for the crisp review. Tempted to pick it up soon..But would start with The Tea planter’s Wife first. Happy Reading! The Separation is brilliant too. This entry was posted on February 18, 2017 by artikabakshi in Book Reviews, Fiction, Historical and tagged Before the Rains, Dinah Jefferies, The Separation, The Tea Planter's Wife.